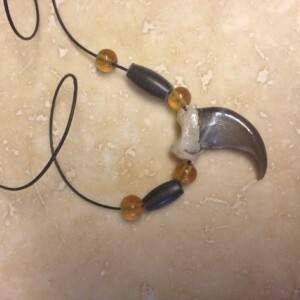 Beautiful heavy duty Front Bear necklace made with pewter beads and capped Black Bear claw. 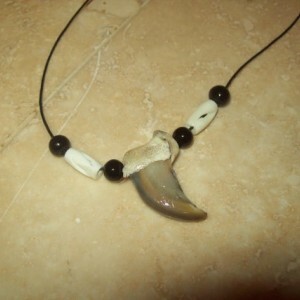 Claw pendant measure 2.5" around the curl complete with glass and bone beads. Necklace ties to any length.